2. Visit our contest post! 3. Share you and your fiance’s love story in the comments of our contest post on Instagram and tag THREE friends in the same comment. 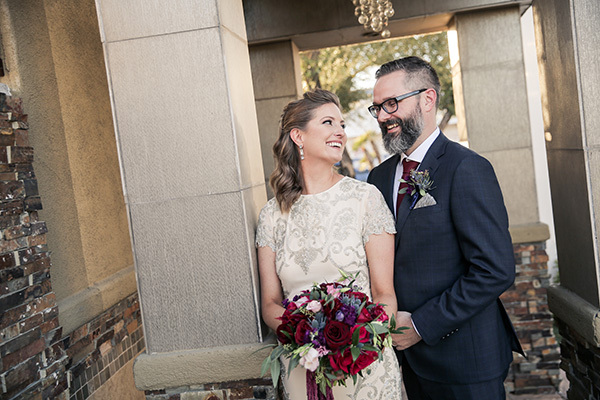 FOR AN EXTRA ENTRY: Post a photo of you and your sweetheart on Instagram and tag @littlechapel + #HappilyEverVegas in the caption for one extra chance to win $500 toward your wedding at Chapel of the Flowers. Our grand prize winner will be announced on 12/31/18! Good luck! 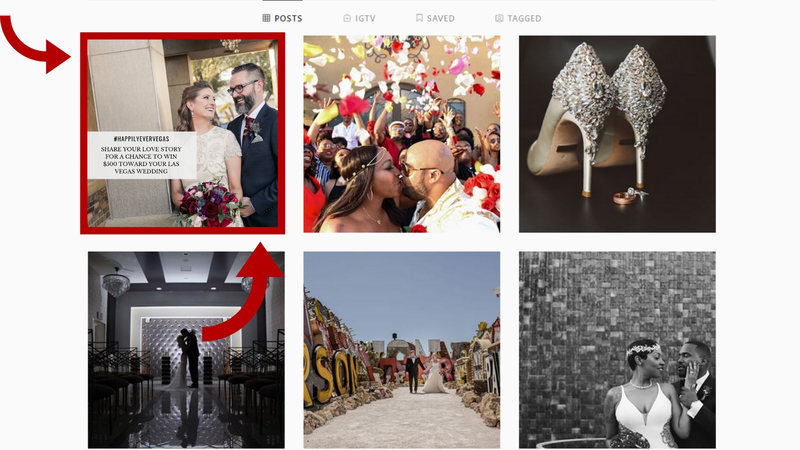 This following information is in regards to “#HappilyEverVegas” Instagram contest that will commence on 11/23/2018 at 8:00 a.m. PST. Eligibility: Chapel of the Flowers “#HappilyEverVegas” (the “Sweepstakes”) is open to legal residents of the United States, excluding New York and Florida, and other countries where these rules are not in violation of local laws and who are at least eighteen (18) years old at the time of entry. Employees of Chapel of the Flowers, LLC, its wedding vendors, Tropicana LV Weddings and their parent and affiliate companies as well as the immediate family (spouse, parents, siblings and children) and household members of each such employee are not eligible. The Sweepstakes is subject to all applicable federal, state, and local laws and regulations and is void where prohibited. Participation constitutes entrant’s full and unconditional agreement to these Official Rules and Sponsor’s and Administrator’s decisions, which are final and binding in all matters related to the Sweepstakes. Winning a prize is contingent upon fulfilling all requirements set forth herein. 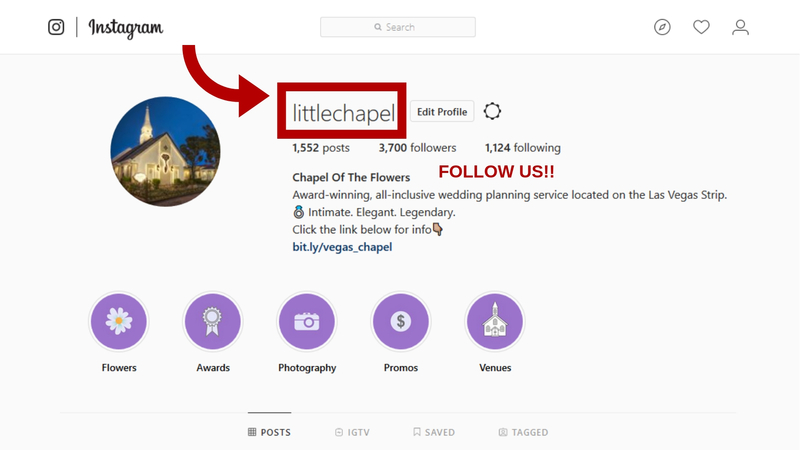 Follow @littlechapel on Instagram AND comment on “#HappilyEverVegas” post on Chapel of the Flowers Instagram Page: During the Promotion Period, visit www.instagram.com/LittleChapel (the “Promotion Site”) and add your “Love Story” or “Marriage Proposal Story” and tag three friends under “#HappilyEverVegas” posted at the top of the business page (original post date & time stamped 11/23/18 at 8:00 a.m. PT). For an extra entry: participants can post a photo of you and your fiancé with #HappilyEverAfter + @littlechapel tagged in the caption of the photo. Limit: You may receive up to two (2) entries during the Promotion Period. Multiple entrants are not permitted to share the same email address. Any attempt by any entrant to obtain more than the stated number of entries by using multiple/different email addresses, identities, registrations and logins, or any other methods will void that entrant’s entries and that entrant may be disqualified. Use of any automated system to participate is prohibited and will result in disqualification. In the event of a dispute as to any registration, the authorized account holder of the email address used to register will be deemed to be the entrant. The “authorized account holder” is the natural person assigned an email address by an Internet access provider, online service provider or other organization responsible for assigning email addresses for the domain associated with the submitted address. Each potential winner may be required to show proof of being an authorized account holder. 5. Drawings: Sponsor will review Instagram comments and posts on 12/21/2018 to determine the which participant will be granted the grand prize. The potential winner will be notified via Instagram messenger. Except where prohibited, potential winner will be required to sign and return a Declaration of Compliance, Liability and Publicity Release, (“Declaration”) which must be received by Sponsor, within five (5) days of the date notice or attempted notice is sent, in order to claim the prize. If a potential winner of prize cannot be contacted, or fails to sign and return the Declaration within the required time period, the potential winner forfeits the prize. Receiving a prize is contingent upon compliance with these Official Rules. In the event that a potential winner is disqualified for any reason, Sponsor will award the applicable prize to an alternate winner winner by going back to the results and picking the entry that has the next most Facebook reactions on their comment . Only three (3) alternate drawings/qualifiers will be held/awarded, after which the prize will remain unawarded. Prizes will be fulfilled approximately 2-4 weeks after winner confirmation. 6. Prize: One (1) Grand Prize: $500 credit towards Chapel of the Flowers ceremony. Winner must make reservation for wedding before 12/31/2019 and credit is good for any wedding date in the future (after 1/7/2019) or prize will be forfeited. Sponsor will provide details regarding how to redeem prize and other restrictions after winner confirmation. Approximate Retail Value: $500. If winner has already booked and paid Chapel of the Flowers in partial or full, winner can use $500 credit towards upgraded products to enhance their wedding package as well as post-ceremony products provided by the photo gallery. Prize can’t be used towards minister fees or gratuities. Prize is non-transferable, no cash or refund, no substitution will be made except as provided herein at the Sponsor’s sole discretion. Sponsor reserves the right to substitute a prize for one of equal or greater value if the designated prize should become unavailable for any reason. Winner is responsible for all taxes and fees associated with prize receipt and/or use. Odds of winning a prize depend on the number of eligible entries received during the applicable Entry Period. 7. Release: By receipt of any prize, winners agree to release and hold harmless Sponsor, and its wedding vendor partners, Facebook, and their respective subsidiaries, affiliates, suppliers, distributors, advertising/promotion agencies, and prize suppliers, and each of their respective parent companies and each such company’s officers, directors, employees and agents (collectively, the “Released Parties”) from and against any claim or cause of action, including, but not limited to, personal injury, death, or damage to or loss of property, arising out of participation in the Sweepstakes or receipt or use or misuse of any prize. 10. Limitations of Liability: The Released Parties are not responsible for: (1) any incorrect or inaccurate information, whether caused by entrants, printing errors or by any of the equipment or programming associated with or utilized in the Sweepstakes; (2) technical failures of any kind, including, but not limited to malfunctions, interruptions, or disconnections in phone lines or network hardware or software; (3) unauthorized human intervention in any part of the entry process or the Sweepstakes; (4) technical or human error which may occur in the administration of the Sweepstakes or the processing of entries; (5) late, lost, undeliverable, damaged or stolen mail; or (6) any injury or damage to persons or property which may be caused, directly or indirectly, in whole or in part, from entrant’s participation in the Sweepstakes or receipt or use or misuse of any prize. If for any reason an entrant’s entry is confirmed to have been erroneously deleted, lost, or otherwise destroyed or corrupted, entrant’s sole remedy is another entry in the Sweepstakes, if it is possible. If the Sweepstakes, or any part of it, is discontinued for any reason, Sponsor, in its sole discretion, may elect to hold a random drawing from among all eligible entries received up to the date of discontinuance for any or all of the prizes offered herein. No more than the stated prize will be awarded. In the event that production, technical, seeding, programming or any other reasons cause more than the stated number of prizes as set forth in these Official Rules to be available and/or claimed, Sponsor reserves the right to award only the stated prize by a random drawing among all legitimate, un-awarded, eligible prize claims. 13. 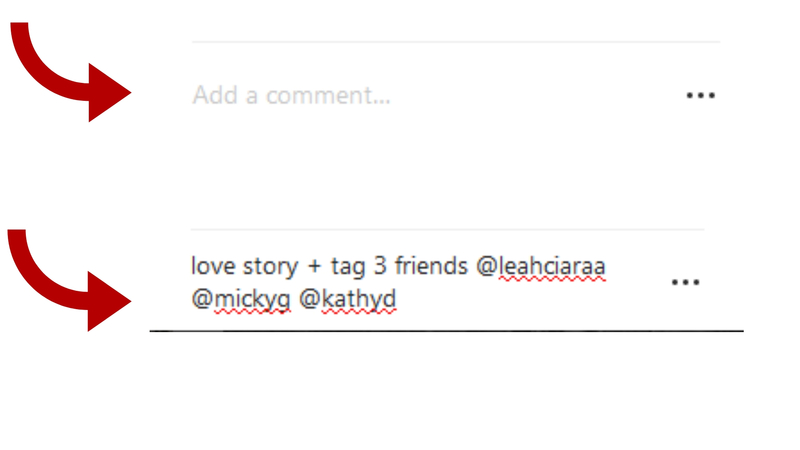 Winner List: For the name of winner, visit [https://www.facebook.com/LasVegasChapel ] or [www.instagram.com/littlechapel]. The winner list will be posted after winner confirmation is complete.